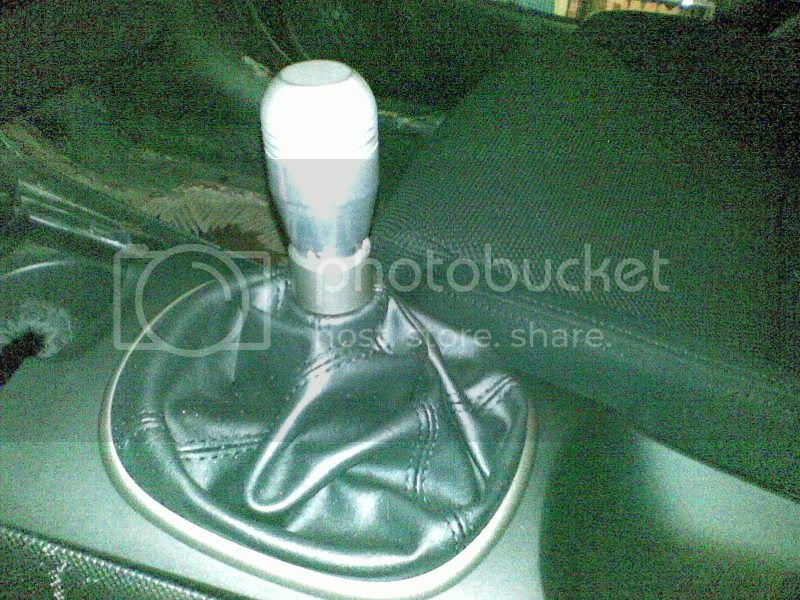 automatic transmission shift knob change? 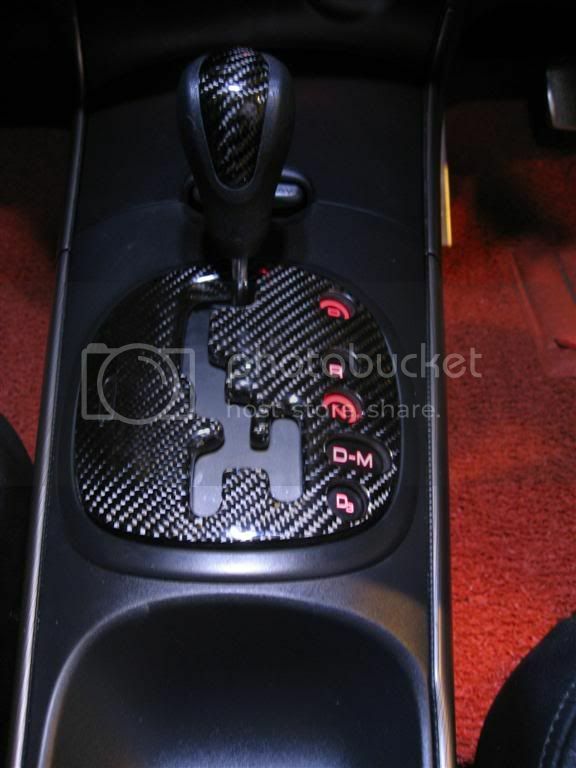 can you change the shift knob on an automatic rsx with (not another stock shift knob) but with an aftermarket one? yes. the auto shift knobs have a different thread and are slightly smaller than manual ones. i think you can get an adapter for it though. an adapter? ... will that make it compatible with pretty much any shift knob that u can put on a manual rsx? thanks you see on my know its alot lower than the stock because its all the way hahha but you also see where you can screw it in to tighten it?? im not a hundred percent sure what you mean. and then it makes it compatible with most aftermarket shift knobs? and do you no where i can find the thing you used? Yeah, just screw off the auto knob; it's real easy. Looks even better than the stock knob and feels a lot better too. I think you can buy it from weksos, but I bought mine from a member here. They retail for $60 something dollars I think. wait you just un-screw the original knob and u can put any shift knob you want?? ive heard that on in automatic you cant really pick your shift knob out of a wide variety, it has to have been made for the rsx auto. Last edited by InLoveWitRSX; 03-22-2008 at 12:44 PM..
Wheebz wrote "wait i might be wrong, if there is the shift lock mechanism on your auto, you might have to disable it, or cut it off with a dremel, auto guys help me out here." No shift lock mechanism on the auto. I had a black leather knob from an RL. Still have it actually. ok so wait, does the new shift knob i put on have to come off a different acura? or can i get a another one that i like better? Oem would be easiest to do...like this one. My old one is similar. is that the stock one and you just put a carbon fiber film over the center insert it?